When you walk into a room, you see people sitting, staring at you, and the moment you tell them, you are a designer, they will start respecting you and would look at you in amazement. Because being an artist is actually “so many things” at once. An artist not only sticks to his genre, but he also loves to do experiments with new tools and techniques. He has to be a jack of all trades so if ever he gets a chance to work on something other than his forte, he will not feel any setback, hesitation, holdup or embarrassment at that time. Designers never live the life of resentment because they just do it without having second thoughts, they are magnanimous creatures who have big hearts to take and absorb the criticism in a very positive way without taking an offense out of it. I guess out of the 10 people, every other designer is like that perhaps they are prone to this, perhaps it is the very demand of their job. They are always in the light mood, apparently they are subtle but inside them, there is a deep world mightier than an ocean from which create new and innovative ideas without a brake they keep on emerging. Designers give life to every design they make, they adore it like their own baby. 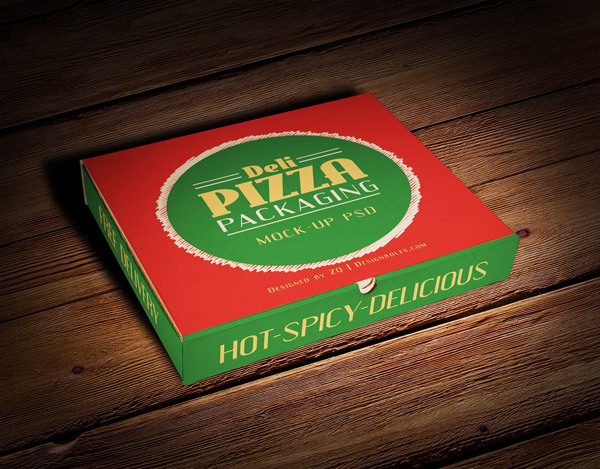 Today I am unfolding before you free pizza box packaging mockup PSD file. Simply insert in your own design and give it a quick go. Presentation is all that matters, this mockup will help you out to win the heart of your client, just fit in whatever design you want to present before the client and it is all done in a moment. I am anticipating your gratitude. Have a look without any hiatus. Stay right here for more some really inspiring and interesting posts that I am all set to bring before you in the coming week up ahead. You need to wait for it, you know time flies! We are here to please our audiences nevertheless! 3. Linkback if you want to share online.